Don't forget, if you leave a comment on any of the Canning Week posts (here or over at A Latte With Ott,A) visit this page and enter the giveaway on the Rafflecopter form! We love peaches around here. Really love peaches. So when I told the kids we were going to make peach jam, they all jumped in to help. And really, what's better than getting the whole family involved in making a delicious treat we can enjoy all year! To start, we need to peel and cut our peaches. We need four cups of chopped peaches, so time to get peeling! The easiest way to peel a peach is to boil them for just a few minutes, then drop them in ice water. From there, the skins will pop right off. 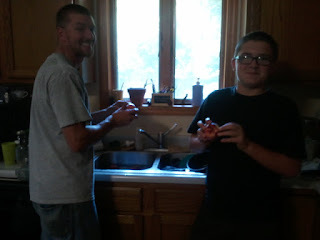 Although, the best way to peel a peach is to have someone else do it for you! Next, we need to cut the peaches. 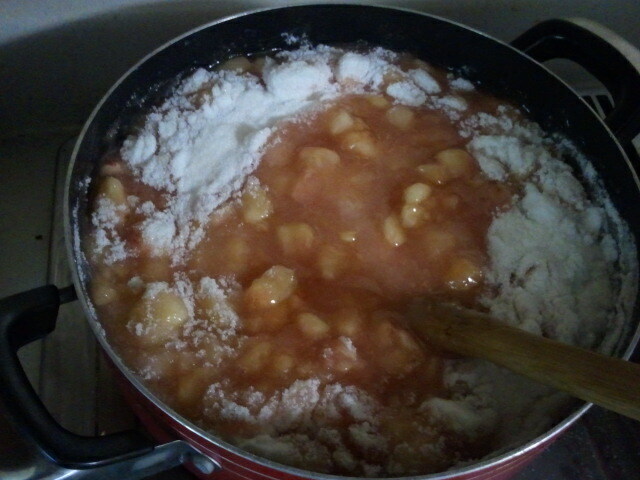 Now we add four cups of chopped peaches to a large pot, along with 2 tablespoons of lemon juice. 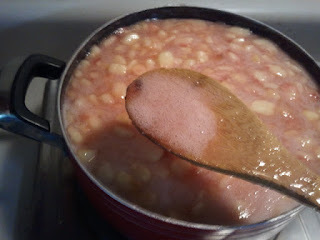 Add in one box of pectin and bring it to a full rolling boil; add sugar, and boil for one minute. Remove from heat and skim any foam off. Ladle into warm jars, wipe rims, add lids and rings, then process in waterbath canner for 10 minutes. Let sit for 24 hours and check your seals on the jars. What's your favorite jam or jelly? Link up for canning recipe here and remember to vote for your favorite! Guest Judge Kate from the blog The Hip Girls Guide to Homemaking will choose the linked up blog post with the best recipes, pictures and overall write up and award a copy of her new book The Hip Girls Guide to Homemaking. We also have a prize for the entry with the most "likes"! Now hop on over and check out A Latte With Ott,A to see what she's canning today. All these recipes look amazing! The peach looks devine--when I get my hands on a batch, I'm gonna try this!! YUMM!! And thanks for telling me about your canning week! I might be a new follower but I am here to stay!! I have fell in love with canning this year and just can't get enough. You are feeding that need with these great recipes!! Thanks so much! Love this blog!! Oh my goodness. I wish I'd thought of making peach jam before I froze all those peaches. Guess I'll have to go get more. What could be better than peach jam! Your day looks like fun! I used to watch my mom make and can jam when I was a child, but I've never made it myself. I've always wanted to, so this is one of my goals for next year! I love peach jam. Made it last year but this year I tried canning the peaches rather then making them into jam. Hope I didn't make a mistake. 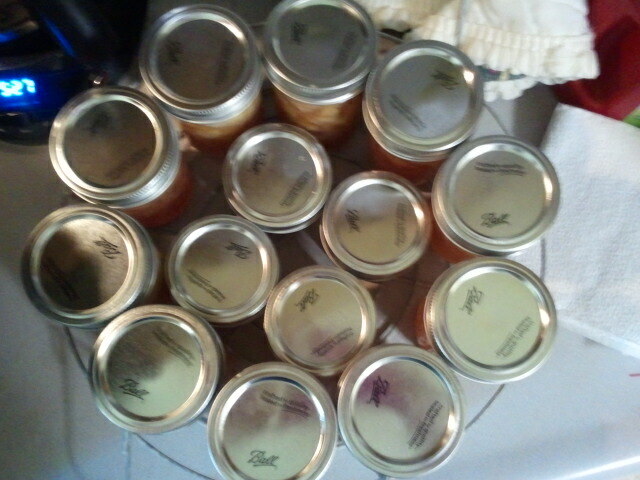 Have peach jam on my agenda for thus pm!